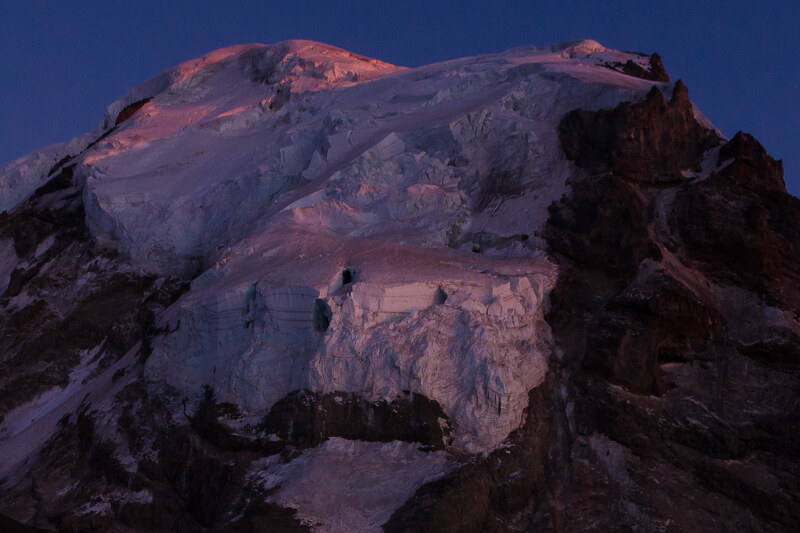 It was the crux of an unusual mission that brought us to Ptarmigan Ridge on Mount Rainier on the evening of August 31. I was attempting to ski in my home state of Washington every single month of the year. The endless high mountains make this goal relatively straightforward from the first snows of late autumn through the long snowy spring. Come the later part of a warm, dry summer, this objective becomes a bit more challenging. The tourists gawked as we set out from the trailhead with full ski and overnight equipment, as they picnicked among the wildflowers and enjoyed the calls of the basking marmots. 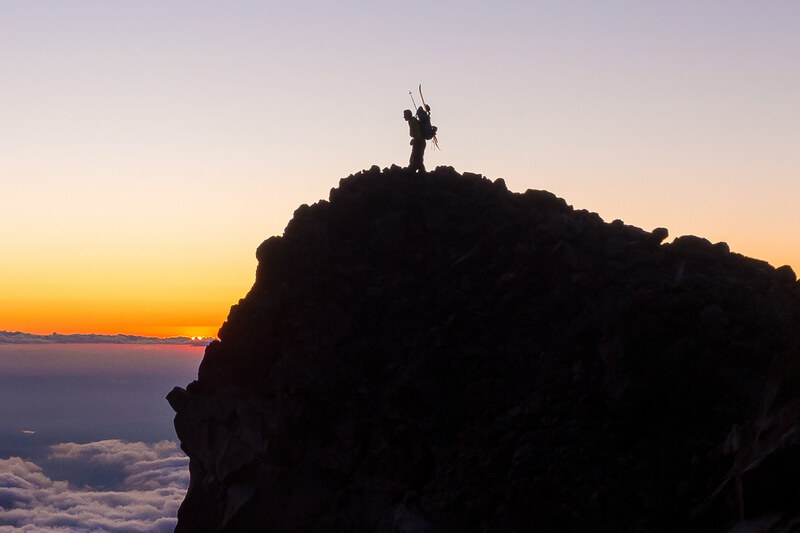 By evening, we were the ones who were gawking as the sun descended beyond a sea of lowland clouds, the moon rose on the opposite horizon, and the summit of Mt. 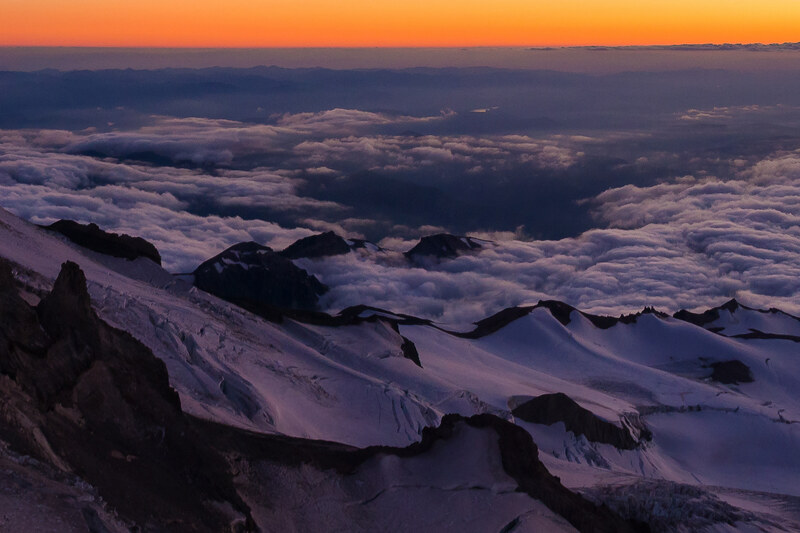 Rainier bathed in the very last light of day to hit this part of the planet. Undeniably, the skiing on this outing was terrible, but I would do it every month for the rest of my life if it meant seeing scenes like the one that played out that night on Mt. Rainier. This 56-megapixel VAST photo is one of the highest definition photographs ever created. It has a resolution equivalent to 27 HDTVs.